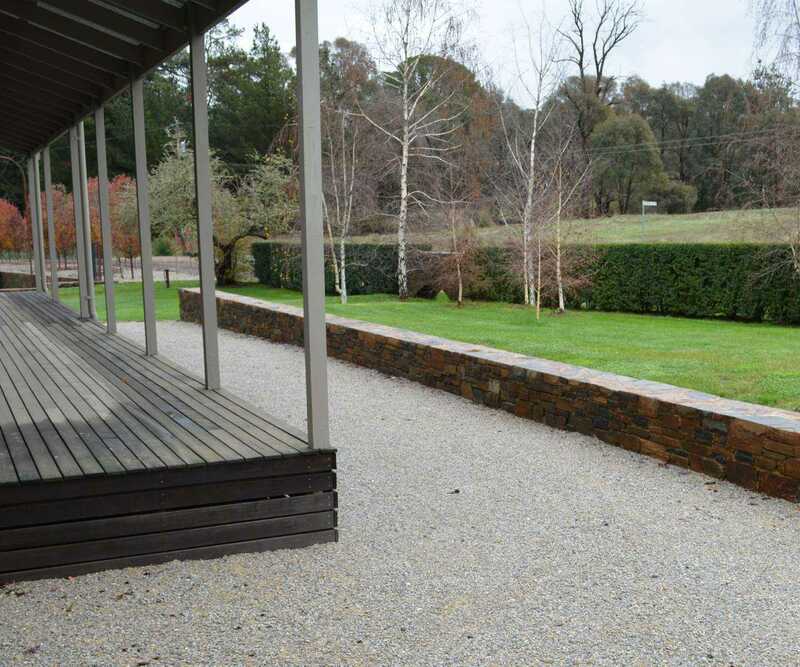 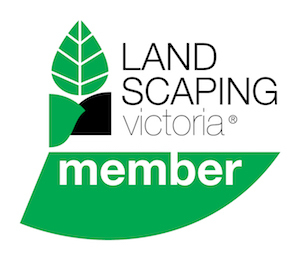 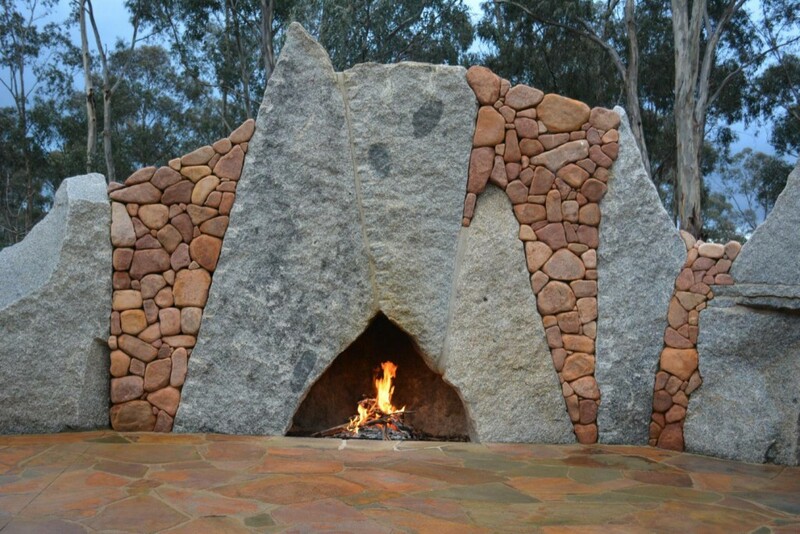 Constructed over several years, this large Central Victoria landscape project incorporates many different design features that all contribute to making one of the most stunning outdoor spaces. 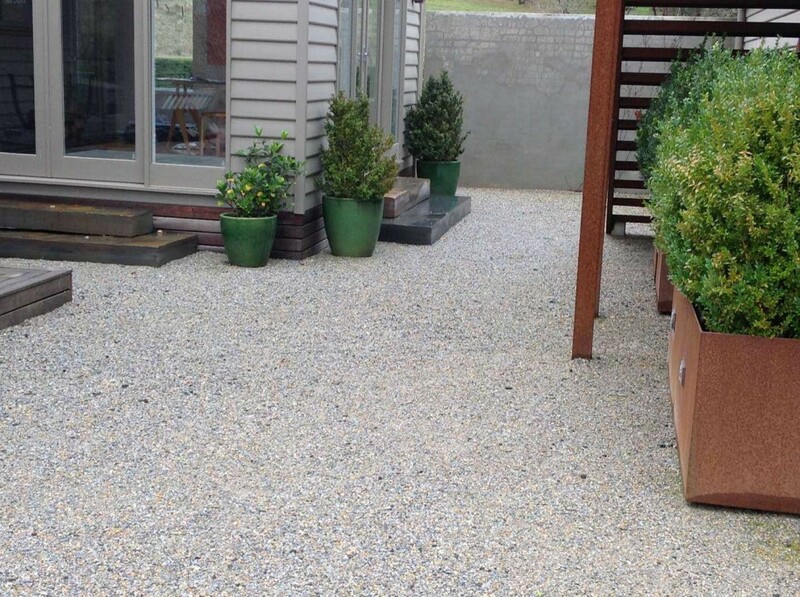 A minimalistic planting design was envisioned, with only about 15 plant species being used, creating a beautifully simple arrangement of colours and textures. 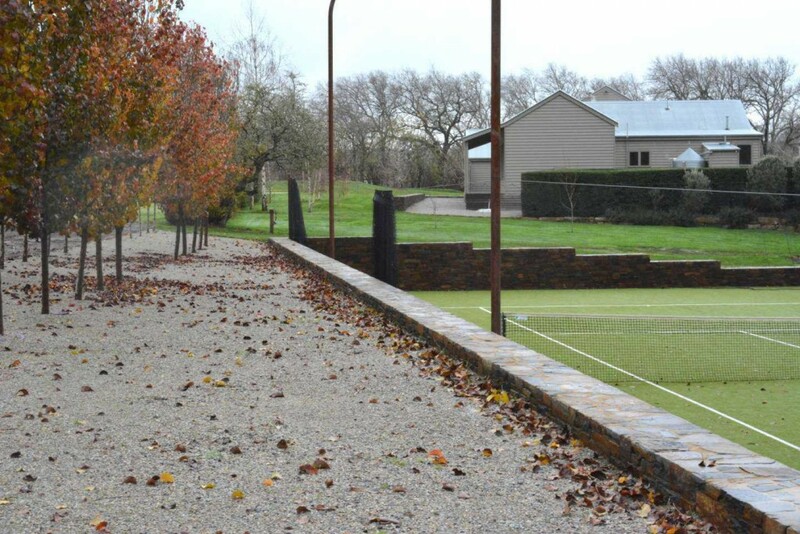 In line with our vision of sustainable and efficient garden designs, a drip line irrigation system was installed to minimize water evaporation and ensure water is delivered directly to the plants’ roots. 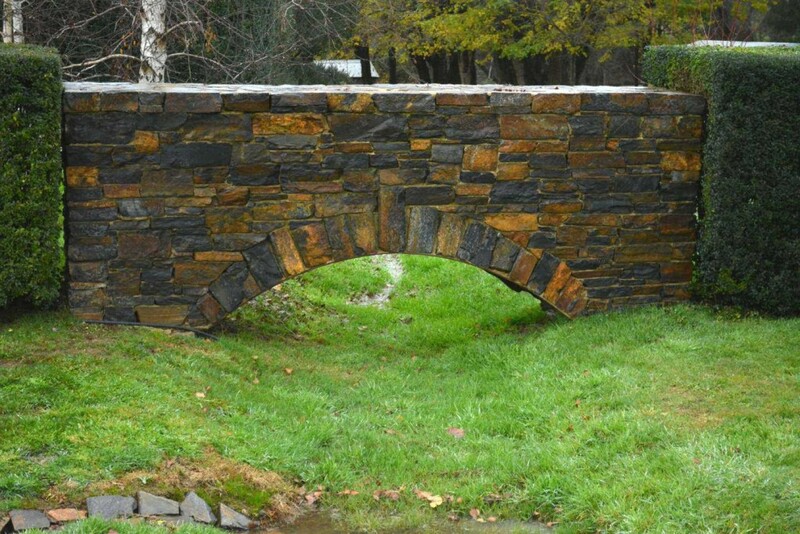 Wistow stone was used heavily, including fence pillars and an extremely impressive archway. 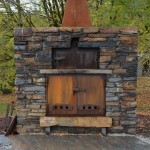 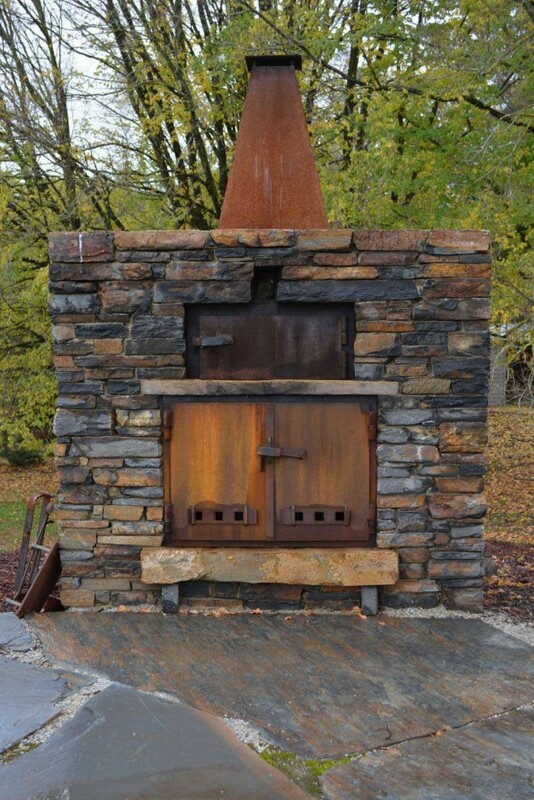 An imposing fireplace that incorporates an oven was created using a mixture of Wistow stone and decorative iron from Taits of Castlemaine. 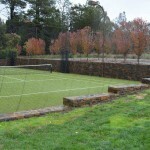 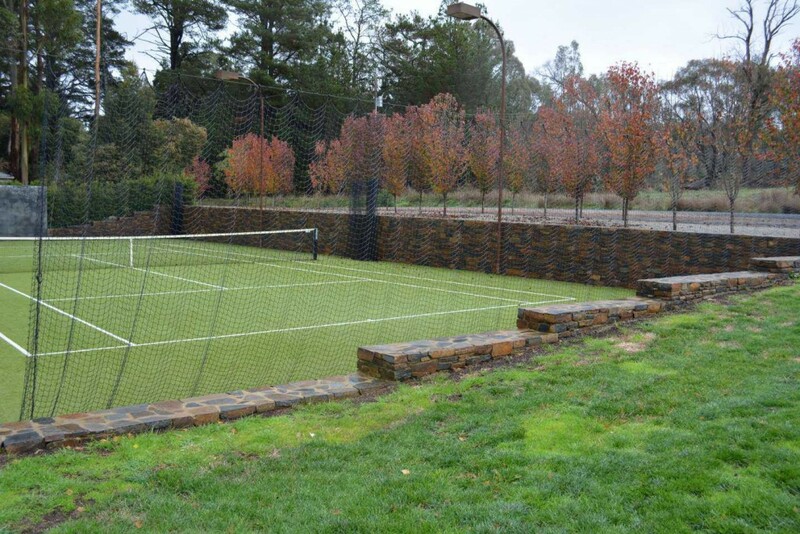 Several retaining walls and feature walls were designed and installed to help separate the different areas of the garden, including the tennis court and pool. 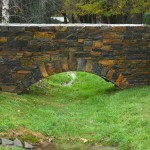 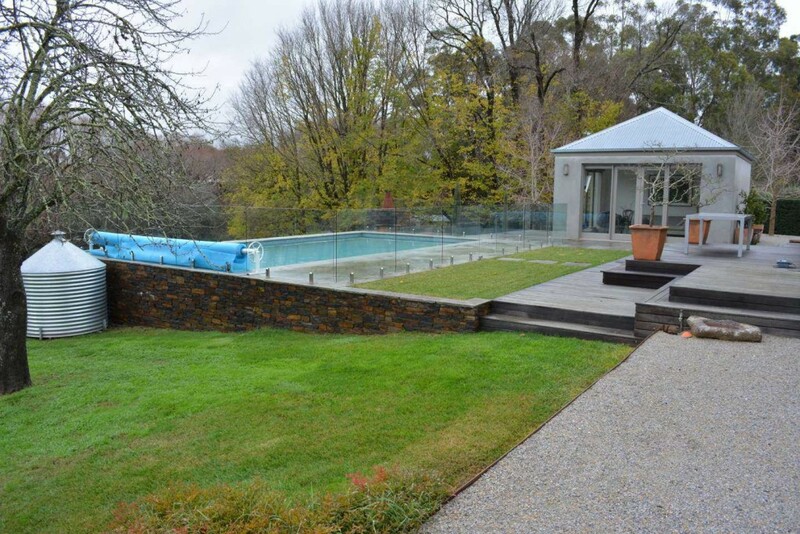 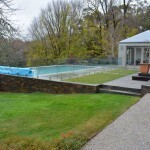 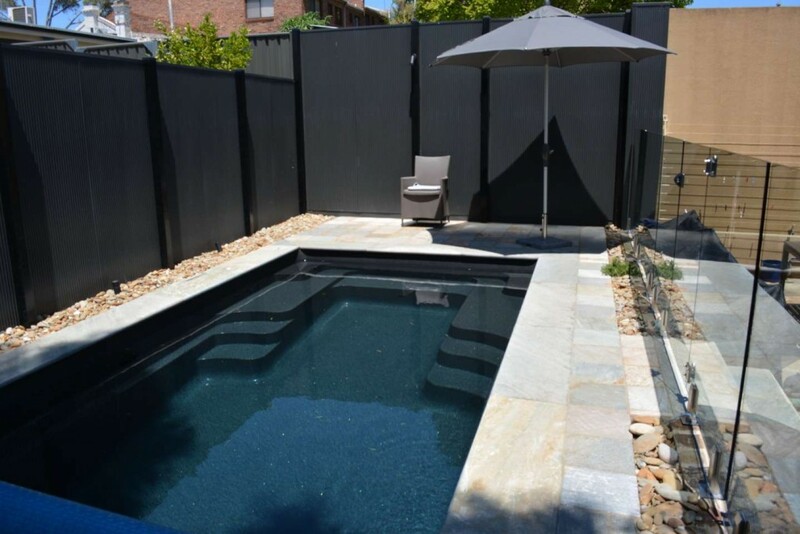 Large Greystone paving surrounds the pool, which allows sweeping views to the nearby river. 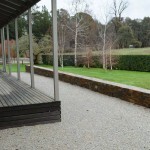 Large slabs of Pyrenees slate were used for the paved area and the individually sawn steps. 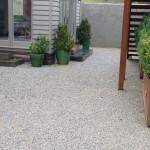 The combination of green hedges and Lilydale topping gravel surfaces help create a classically inspired area that would fit right in a Mediterranean garden. 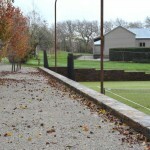 Ornamental pears were planted to help create privacy and block views of the nearby road. 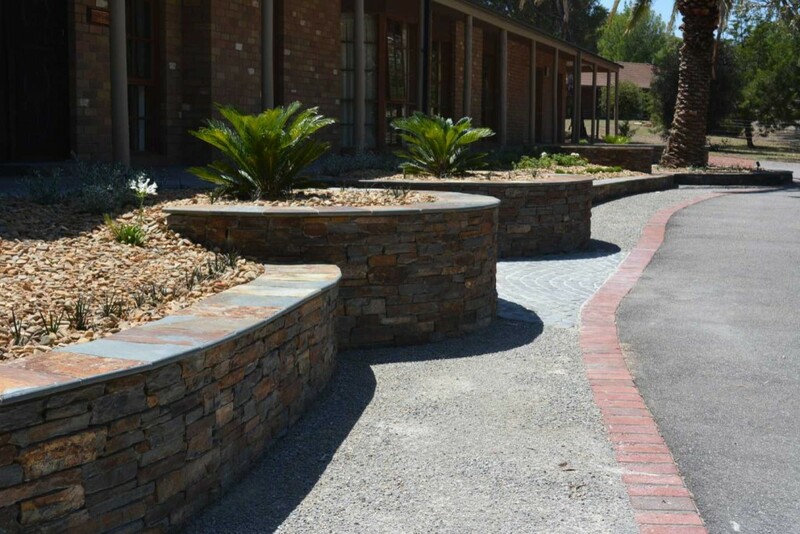 The incorporation of rusted iron planting boxes and edging supplied by the client create a stunning contrast of old and new.